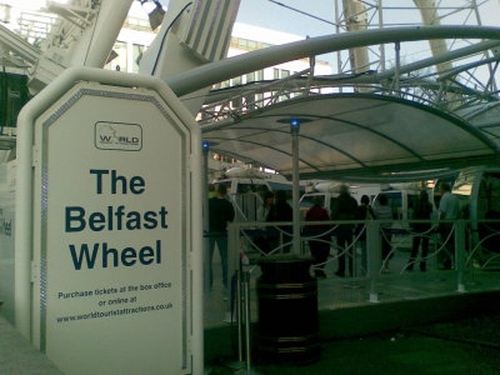 The Belfast Wheel has ceased operation this evening. Its owner, Great City Attractions, announced a few weeks ago it would be removed after two and a half years next to the City Hall, where it has been a familiar sight since October 2007. It had originally been scheduled to stay for just six months, but its popularity saw its stay extended. The last ride on it was at 6pm. Great City Attractions had lodged a planning application last year to keep it in Belfast until next summer. The North's Environment Department said that application was still under consideration when the company decided to pull out. The Environment Agency had objected to the wheel staying any longer as it wanted to ensure it did not become a permanent feature beside a listed building.